Hi everybody!! 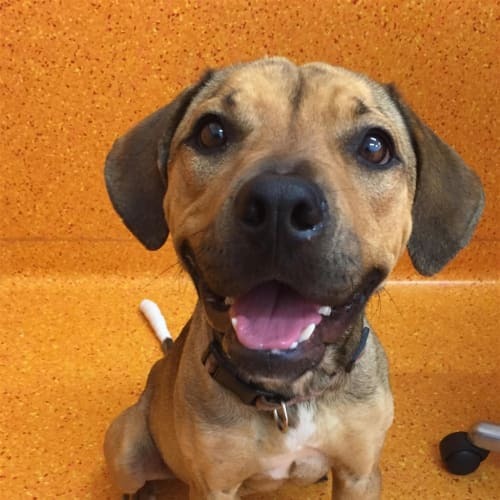 My name is Gallager, I'm a big happy boy who enjoys having plenty of fun! 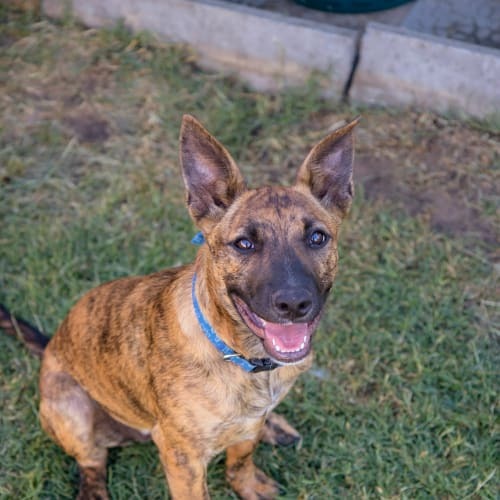 * I'm an active dude who will enjoy daily exercise and loads of play time with my toys. * I am a boy who prefers all the attention on me so home with no other dogs or children is what I am looking for. 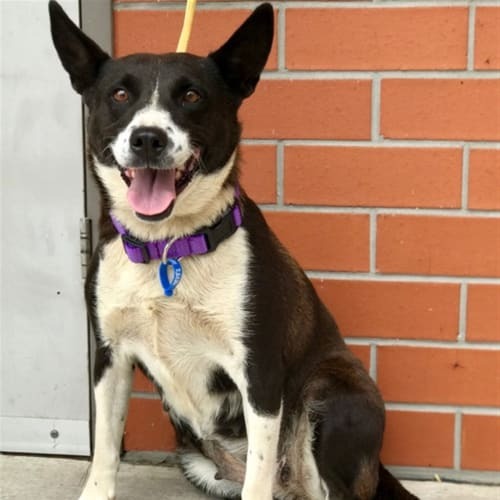 * I am very strong so someone who is willing to help me with some lead training and to teach me new manners would be perfect and make me very happy. * I would need solid 6ft fencing to keep me safe and secure. I would love loads of mental and physical stimulation. 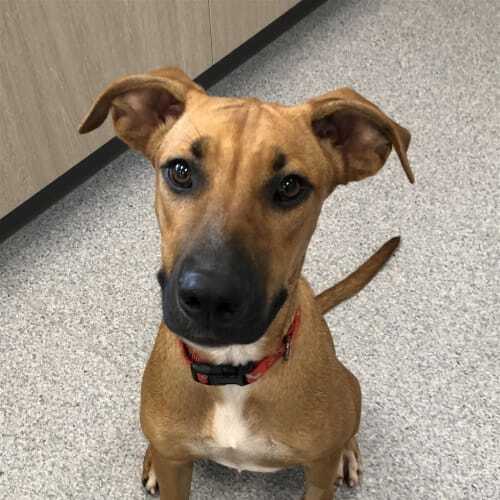 *My adoption fee includes me, my desexing, microchip and health check and makes sure I'm up to date with vaccinations, worming and flea treatments! 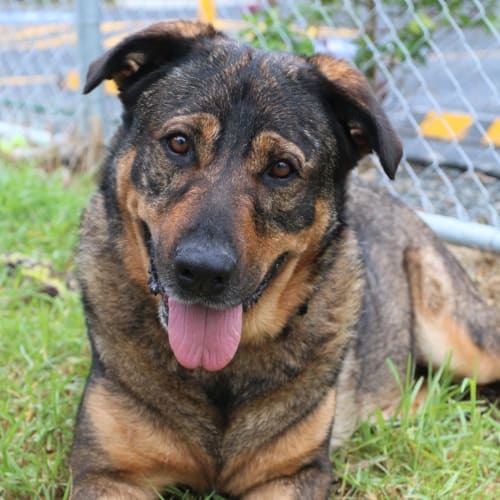 Hi my name is Cher, I am a bouncy, happy and energetic girl that has a lot of love to give. 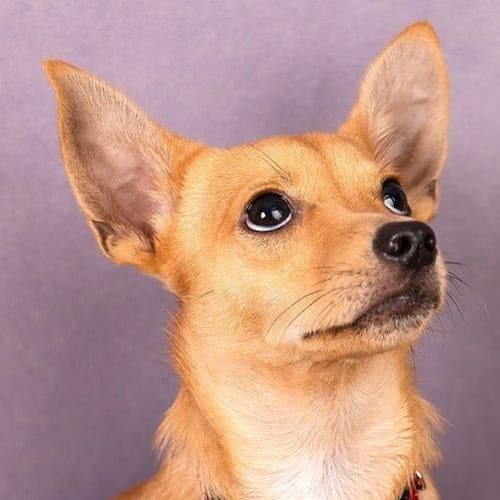 I am looking for a forever home that can give me unconditional love and in return I promise to be your best friend forever. My adoption fee includes me, my desexing, microchip and health check and makes sure I'm up to date with vaccinations, worming and flea treatments! 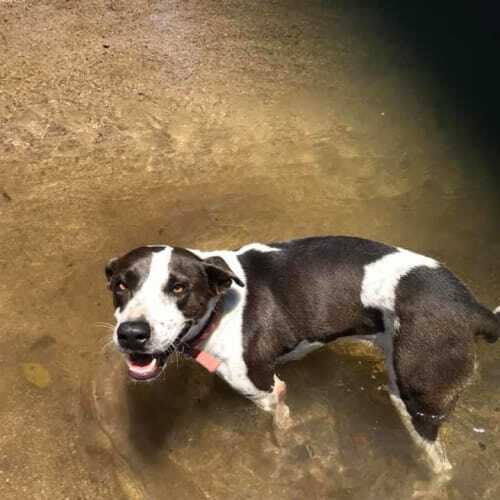 *Located in Cairns*Dog Friendly: YesCat friendly: UntestedKid friendly: Yes (older kids only)House trained: Yes (But currently a mostly outside dog)Energy level: Low/MedCrate trained: YesMiss Molly is an old soul! She is a plodder that just loves to hang out. She doesnt mind if life is at a steady pace. Her afternoon walks are fun, but relaxing is much nicer! Her favourite rest spot is her crate where she feels nice and cosy! Molly lovvveeeess pats and human attention. When her foster oarents get home she whimpers in greeting and is sooooo happy to see them!In her foster home Molly has three doggy pals and has got used to their crazy energy! She is starting to learn to play and is sometimes chasing toys with everyone and playing follow the leader with their antics.When it comes to meal times Molly still thinks that the others are going to steal her food so prefers eating alone in her crate, but has improved a lot. She is a slow and steady eater that is learning to eat doggy food she isnt used to. She is happy for her foster carers to take her food away whenever they want though.Molly would love to enjoy a relaxing easy going life with someone to lavish her with all the attention she deserves! If you think you could be Molly’s world please come say Hi! 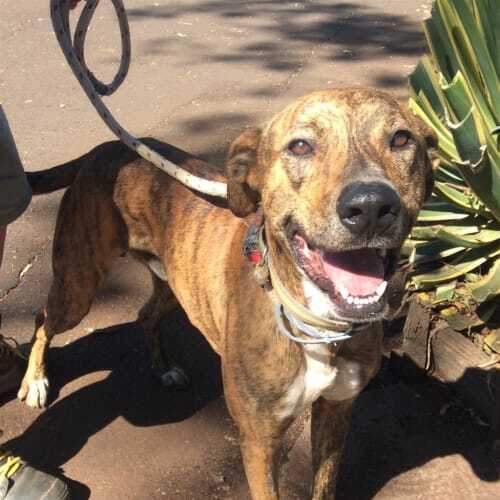 Hi there I am the beautiful Stella,I was sadly surrendered because my last home had no fences and I would take myself for solo adventures.I am a gorgeous and people orientated girl who would be the perfect family addition.I LOVE children and am great with other dogs, chickens and livestock.Another thing I absolutely love is fetch, I happily pounce around like a young puppy again. If there is a tennis ball around I am obsessed!I walk well on the lead and would love a couple of walks a week to keep me in tip top shape.I am food motivated and can sit on command, I am also very responsive to my name.I am used to being allowed inside and outside and am housetrained.So am I the perfect fit for you? I may be a little older but that just means I’m calmer and more chilled out than my younger friends. I would suit a quieter household who are just happy for me to be a homebody and who don’t mind that I’m not hugely active anymore. I don’t mind a short stroll on soft ground but have had corns previously which can make walking on rough surfaces a little uncomfortable.I guess most people don’t know what corns are. They are similar to plantar warts in humans and are completely treatable. I don’t currently have any but I do come with some medication in-case they crop up. They will be something that I may have on and off for the rest of my life. I am really looking forward to finding my forever home where I can become part of the family. 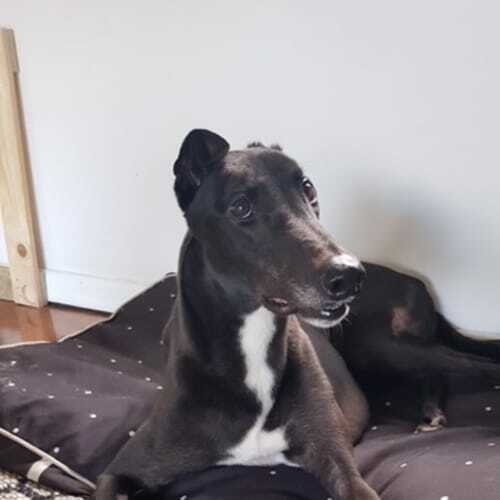 I could do with or without another dog but would probably prefer a calmer dog to match my cruisy personality.As with all greyhounds I am a work in progress, I will still need further training, socialisation and maybe some management strategies to truly thrive in your home. The GAP team can provide you with lots of hints and tips to help me on my way but please be prepared to be patient and spend some time working with me. Meet Buddy! This loveable pocket rocket is looking for a place to call home. Buddy came to SAFE Esperance from the local pound. 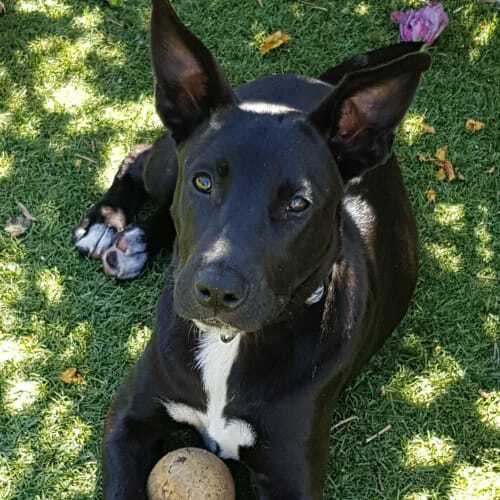 He has settled well into foster care and loves to play with the other dogs in the house.He can be a little fearful around new people and will bark when a new person comes to the door, but soon comes around when he knows that he's safe and they mean him no harm. He would be better suited to a quiet adult home and thrives on stability. Buddy does love to play but can accidentally nip a little when playing. 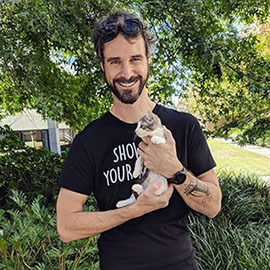 He has not been tested with cats or other small animals. He is a little timid around larger sized dogs but settles when he realises that they are friendly, and is happy to play with them. Buddy walks well on his harness and knows some basic commands. He's very eager to please so would benefit from his new owner spending some time with him on training. He is still house training so will need an ongoing routine and gentle encouragement to continue the great progress he's made so far. He has access to lots of dog toys in his foster home and plays happily with them. He loves to play chase round the garden with the other dogs, and will happily play fetch with a tennis ball. Buddy also loves his 'people' and loves to snuggle on the couch for cuddle time. Buddy's ideal home will be with someone who is home for a lot of the day. He would love a similar sized/age female dog for company depending on meet, but would also be good as an only dog providing he has lots of toys to play with and company with his human.We recommend that he goes to an owner who will continue with positive training and socialisation as he is keen to learn, and to help him adjust to new people and situations. He will need a good sized yard to explore and be allowed inside when he wants to be. Buddy also needs to sleep inside at night. If Buddy sounds perfect for you, please send in an adoption enquiry form and we'll be in contact. Hi! My name is Jemima!My name is Jemima and I am only a small dog, about the size of a medium size poodle. I am mixingwell with the other 5 dogs being fostering at the moment.I like to play with the others dogs and go for a walk in the park. 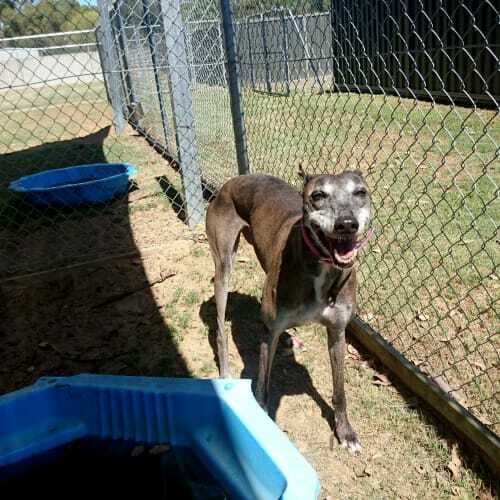 Don’t pull on lead and like to meetpeople and other dogs.I would be suited to a home with a family with older children, a couple or single person.I am good in the car and am toilet trained.Not sure about cats.I can’t wait to meet my forever family, please contact SAFE Perth today to meet me! Please text our adoption team on 0437 870 245 between the working hours of 10.00am to 3.00pm on any day. I'm a girl who offers companion-dog affection and working-dog smarts. I adore being around my family - and I also love getting out and about, riding around in the back of utes and sleeping outdoors at night. Another thing high on my list is going for walks. I just want to be with you and keep you company. I'd especially suit someone who understands working dogs and a family of teens/adults. 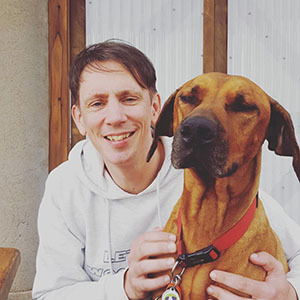 I could be a single dog or I could be ok with a polite dog who gave me space. If you've got secure fencing and you'd enjoy a dog who offers something extra, arrange to meet me. I'm magic. When I first came into foster care after being flown all the way from HALLS CREEK to Perth by SAFE with my brother and sister, my foster mum took one look at my cute white paws and called me SOX. I am now 20 weeks and am told that I am a very handsome, gentle, good, loving, loyal and obedient dog. I have a calm temperament and walk beautifully on a lead. I come when I am called, sit and give paw and wait for my turn to be given food. I love the beach and go there with the other doggies I live with. I never go far away and have great fun if I meet another dog that wants to play chase with me. I swim beautifully. If the other dogs I live with decide to have a swim, I join them but I do not swim far out to retrieve a ball like the lady Kelpie Collie X I live with. I like to paddle and swim around with old Uncle Woof who is a German Shepherd X. I let the children on the beach pet and cuddle me and sometimes give them licky kisses back which makes them laugh.The Vet admired me and said what a wonderful dog I am and that I would end up being a medium size. I am toilet trained. I like to be with you and give you lots of cuddles and my fur is shiny, beautifully silky and cuddly. I would love to be part of a family or someone looking for a doggy companion. I would best be where the children are 6-8 years, If you had another dog for company that would be lovely. Well I have done the Talk the Talk and now why don’t you try me out with a Walk the Walk. 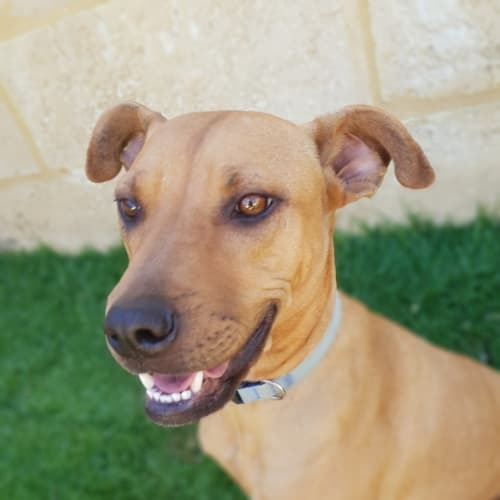 Look at my photos : Aren’t I adorable ?For more information, please text our adoption team on 0437 870 245 between the working hours of 10.00am to 3.00pm on any day.